Amazon has said its drones are coming soon -- but don't necessarily expect them to land in your yard. 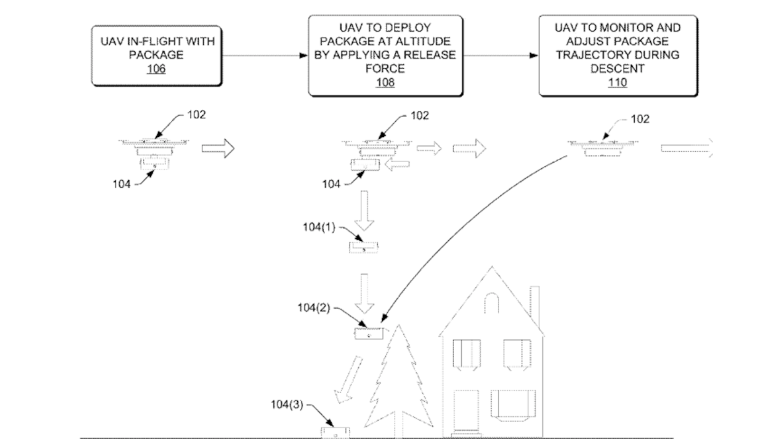 The patent suggests Amazon is considering keeping its drones high above customers' homes, an approach that could be more efficient and safe. In the document, Amazon said that landing a drone takes more time and energy than releasing a package from high in the sky. If Amazon's drones don't land in yards, this prevents potentially dangerous collisions between the drones and any people, pets or objects in a customer's yard. 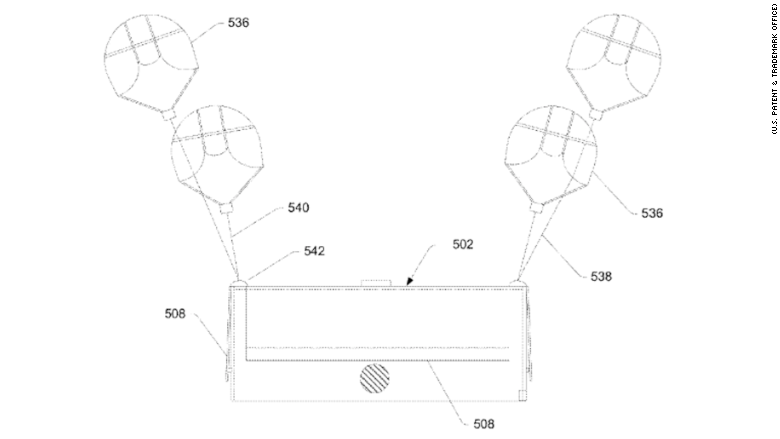 The patent also describes how Amazon's drones would use magnets, parachutes or spring coils to release the delivery while in mid-flight. Once the package is released, the drone would then monitor the descending box to make sure it's dropping properly onto the desired landing patch. For example, wind could potentially blow a package into a balcony, power line or tree. To solve this, Amazon's drones would radio a message to an off-course package, instructing it to deploy a parachute, compressed air canister or landing flap. 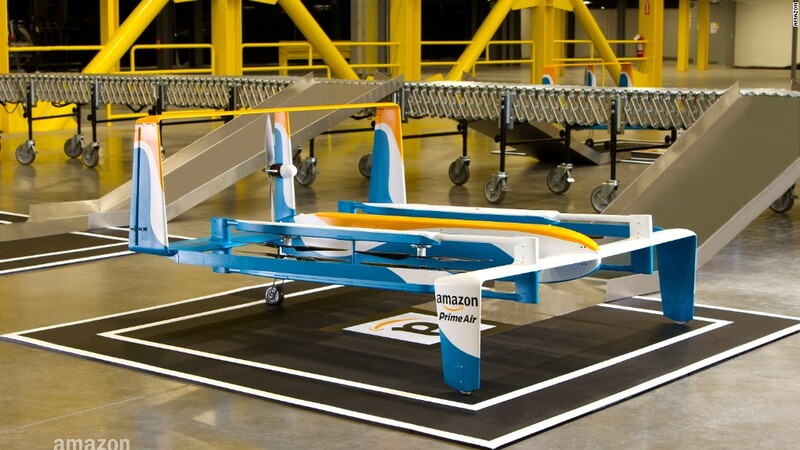 It's unclear when Amazon will launch drone delivery in the United States. Its current plan, which calls for automated drones flying without the direct supervision of a human, isn't legal today. Amazon featured Prime Air in a light-hearted Super Bowl ad, in which Alexa told a customer she could look for delivery of Doritos soon. But the ad wasn't meant to be taken literally, and there is no launch date for the service in the United States.